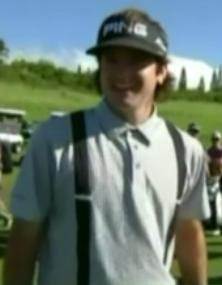 @bubbawatson those were fake suspenders! That's fancy. What are you calling that look? I didn't think anyone could make hillbilly look cool. @MrStyleMH: Strongest fashion statement today : Bubba Watson with that great Travis Matthew shirt. Heck I thought they were real suspenders ! So what do you think? A new fashion trend from Travis Mathew - Suspender golf polo shirt or Hillbilly attire. Rocking the suspenders, I'm into that. Just needed someone to spearhead it. Thanks bubba.